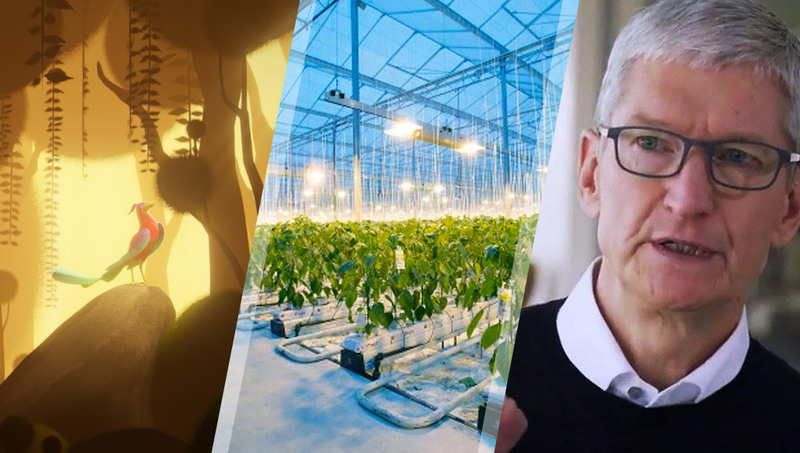 This week, Tim Cook went onto HBO and talked about AR, we had a new VR short film from the creators of “Invasion!” and “Asteroids!”, and we had cucumbers… and more. It was a fun week. Learn how to build a conversational voice assistant! I’ve released early access to my course full of step-by-step articles to help you build a virtual assistant/chatbot no matter your skill level! I’m turning it into an e-book — sign up, let me know what you think and you’ll get the e-book version as soon as it comes out! Looking to give a cheaper VM a try? AltspaceVR and High Fidelity are planning Virtual Reality Day ’18 — broadcasting 24 hours straight in VR with lots happening from introducing new people to VR to a band releasing a music single. “Immersive design will invariably elevate our understanding of how sound behaves in the world”. Rhythm games may already have your rhythm fine tuned, so why not go a step further and learn to drum in VR with Paradiddle? You can also get just $100 off the HTC Vive Pro headset itself. The EU PlayStation Store has got some VR deals if you’re based around Europe! “UK-based hospice care company Loros and VR producer Alex Ruhl are inviting you to use VR for good in a VR filmmaking competition”. VentureBeat has an opinion piece on sport’s progress in using VR in rather promising ways. Young tech enthusiasts came together and designed accessible backpacks within VR! This animated retelling of a Native American origin legend was made by the team who did “Invasion!” and “Asteroids!”. The 2002 Gamecube game “gets the VR treatment as part of an ongoing study into VR game mechanics”. The black hole at the center of our galaxy, Sagittarius A*, has been visualized in virtual reality for the first time. You’ve got less than a month — get applying everyone!!! Sennheiser is partnered with Magic Leap and released their Ambeo AR One — the first spatial audio headphones certified for use with the Magic Leap One. Wired’s Gadget Lab podcast sat down with Magic Leap’s marketing head to discuss the future of immersive media. Snap is going to partner with agencies who make AR lenses so that brands can find people to make them fancy Snapchat AR lenses. A “kaizen” philosophy is the practice where all employees work together proactively for the continued improvement of how an organization is run. Toyota think AR could be a part of that. Tendar is an AR app that brings an emotional fish and emotion reading into an interesting tamagotchi experience. This startup is made up of former engineers from Apple, Amazon, Google, and others — it’ll be interesting to see where this goes. Naww. Doesn’t this sound all sweet and lovely? “On Wednesday, in addition to uploading another batch of videos from its L.E.A.P. conference to its YouTube channel, Magic Leap also launched a new video series for developers called Spacebar”. “Harry Potter: Wizards Unite”, we’re told, is now set for release in 2019. Yep, there’s going to be a bunch of them in two years time. 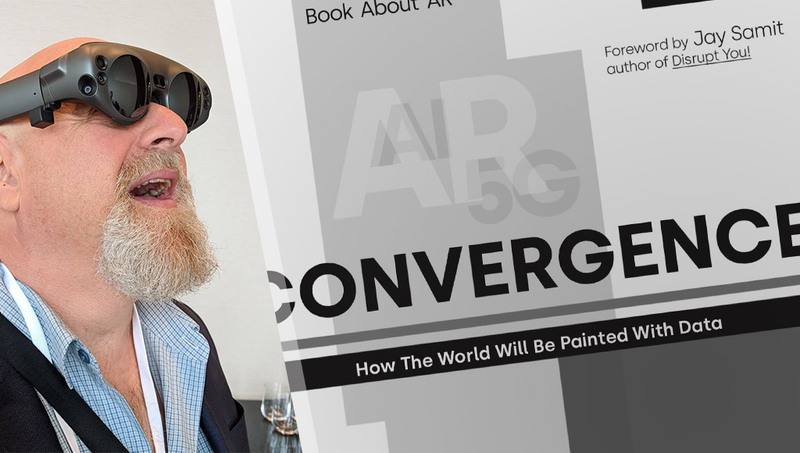 Prepare your AR excitement! Another enterprise edition Google Glass! Solid Black Friday deals if you’ve been waiting for a Fitbit! You can save anywhere from $50 to $100 depending on where and which model of watch you get. “This battery saver mode extends battery life by turning on Battery Saver to only display the time once your battery falls below 10%.” It’ll also put it into a deep sleep mode after 30 mins of inactivity. Their “My Skin Track UV” sensor is a $60 sensor that you clip onto your clothes to track UV exposure, pollen and pollution. Gizmodo say “the Sport finally has most of the features you expect a 2018 smartwatch to have. Namely, heart rate monitoring, standalone GPS, a better fitness interface, and (slightly) longer battery life”. Comprehend is “a natural language processing tool to help companies extract common words and phrases from a corpus of information”. It has custom entities and classification now. Amazon have come up with a novel way to model different speaking styles using AI. 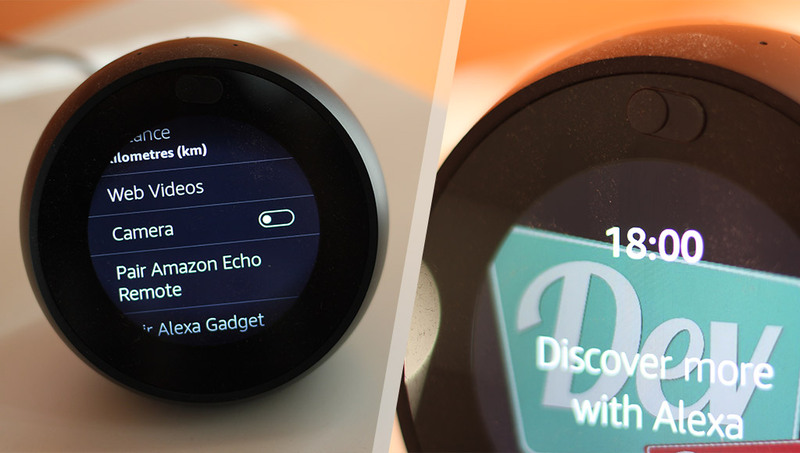 “A new report from the Reuters Institute suggests news content has a long way to go on smart speakers like the Amazon Echo, Apple HomePod and Google Home”. A nice piece about one developer who took on the creation of Alexa skills and is doing quite well with it! I think the title is enough to suffice here. In case you wanted another voice assistant option. It can tell where its owner lives, credit card numbers, email addresses and more, apparently. It’s the start of the robot uprising. I knew it. Two legged robots by this group shall be no more, Google appears to be moving away from a lot of their robotics efforts. It “might look like a basic USB thumb drive, but it hides Intel’s Movidius Myriad X VPU, a vision processing unit designed to effectively carry out computer vision and image recognition on so-called edge network devices”. The new $25 Raspberry Pi 3A+ is here! It has the power and wireless connectivity of Raspberry Pi 3B+ in a smaller form factor. Yikes… “Four years of research shows that 3D printers emit hazardous microparticles–which can embed themselves in your lungs forever”. “A survey of Alexa and Google Home users shows just how addictive these devices are – and what’s drawing users in”. Paul Thurrott sees this as “yet another not-so-subtle indication that Microsoft is pushing Cortana aside for Amazon’s digital personal assistant”. You can turn on your TV using Amazon’s voice assistant without requiring special hardware support now. The general public can now teach Alexa new skills in minutes — but it is focused on verbal responses, stories and games — not connectivity to the smart home yet. A DIY project for those who’d love to automate opening and closing their blinds! You can make and receive Skype calls with Alexa starting this week — that’s pretty cool! Neopixels are some of my favourite multi-coloured lights — often connected up with Arduinos and other microcontrollers. Here’s how you can use them with a Raspberry Pi. It sounds like Electronica 2018’s keynote was quite a good and future-facing one! Black Friday is very soon to be upon us — Here’s that CNet list of all the deals on their way once more to remind you to go buy things! 4 co-located events. So much great stuff happening. Get ready for the AI & Big Data Expo coming to North America in November! The discount code DEVDINER20 will get you 20% off! The biggest conference of its type in North America – content developed by clinicians, specifically for clinicians – focusing on how AI and ML are effectively deployed to transform healthcare systems and patient outcomes. Use the coupon code MP20 for a discount!